Every 12 years, the Nilgiris live up to their true name as clusters of the rare, endangered Kurinjis bloom across the verdant hillsides, transforming the landscape through their delicate but bountiful hues of blue and purple. Imagine a flowering so profuse that it makes the entire chain of hills appear purplish-blue, the same colour as the blooms. 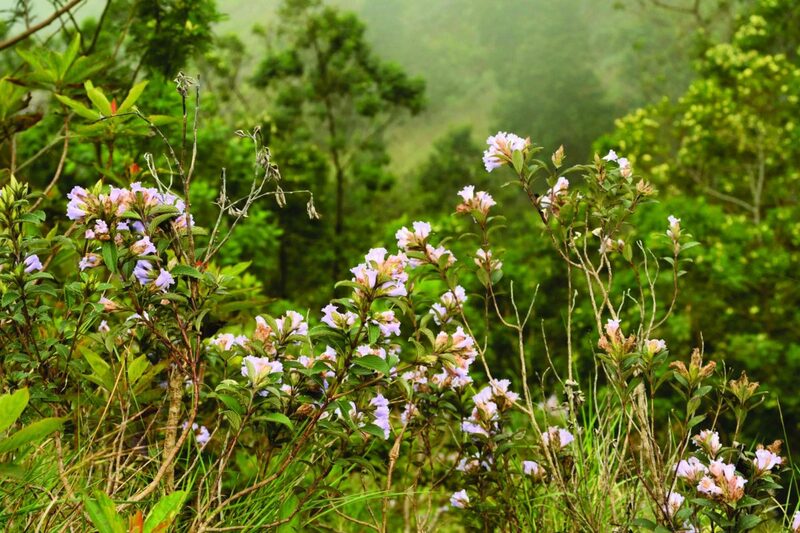 This is what the Kurinji does, and in doing so, gives the famous Nilgiri Hills their name. The bell-shaped flowers of Kurinji (Strobilanthes kunthiana) grow on tall, erect shrubs in the Shola forests of the southern Western Ghats, between the altitudes of 6,000 and 7,000 feet. The plants usually prefer to grow on hillslopes that have little or no forest cover. Because of the brilliant blue colour of the flowers, the shrub is also known as Neelakurinji. The plant was described by the German botanist, Nees, sometime in the nineteenth century and named after the Kunthi River which today flows through the Silent Valley National Park. When they do flower in great numbers, it is a spectacle to behold. But one has to be patient in order to witness this great manifestation of the endemic plant, for it happens just once in 12 years! In fact, so punctual is the flowering habit of the Kurinji that the Muduvar tribe, which inhabits the mountain ranges around Valparai (Tamilnadu) and Munnar (Kerala) in the Western Ghats, still calculate their age based on the number of flowering sessions they have seen. The Kurinji plant is a plietesial, which means that the plant flowers just once in its life after a long gap, that too in sync with the other plants around it, and once the seeds fall down, it withers away. This type of flowering or mass seeding phenomenon is called masting. But the once abundant plant is now under serious threat. Large expanses of the Shola habitat, where the shrub grows, have been cleared in order to make way for the lucrative tea estates. While the shrub continues to grow in various protected areas of Kerala and Tamil Nadu, what remains today is a mere fraction of the area which the Kurinji once used to cover. Although the effects of climate change on the plant have not been studied, the flowering which happened this year was not as profuse as usual. Fewer flowers mean fewer seeds and resultantly, fewer plants for the next generation. A great deal of work has to be done in terms of understanding the ecology of the plant if the exceptionality of the Nilgiri Hills is to be preserved.